What is the average cost of a destination wedding? Have you heard the old adage about averages? If your head is in the oven and your feet are in the refrigerator, on average, you're comfortable. So, knowing the average price of a destination wedding may or may not help you know how much to expect for your own wedding. 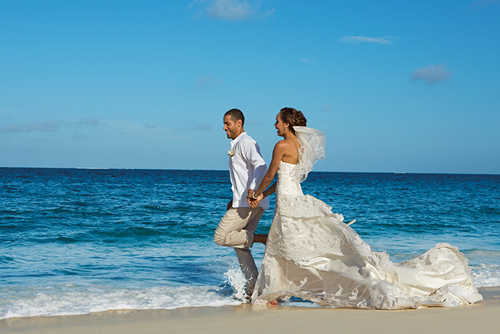 You can spend anywhere from nothing, to $50,000.00 on the Destination Wedding of your dreams. It just depends on your dreams. That said, here is an example of a fairly normal package along with the prices of some add-ons. As you can see, this covers the basic parts of a wedding. If you're going to have more than 10 guests, you can simply pay a per person rate for more guests. There are also a multitude of additional upgrades you can add to this basic package. For instance, if it is important to you to have a Catholic priest do your wedding, that will add $500 to the total. If flowers are your deal, you can upgrade your flowers and add more flowers to your wedding. Costs will vary greatly. Would you like a live harpist? That will cost $450. Pretty much anything you'd like, your resort can probably accomplish it for you. Different packages include different things. A good rule of thumb is to pick the lowest package where you will use everything in that package, and add the things that it does not include. 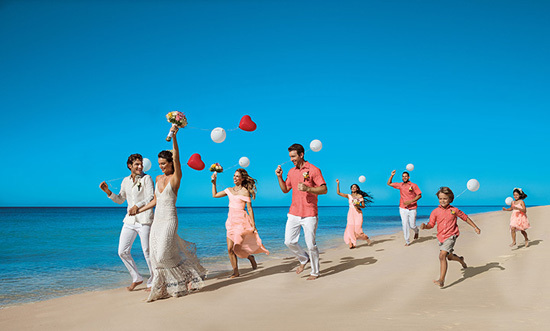 For instance, this same resort has a Luxury Wedding Package for almost $10,000.00 that includes the photographer, lots of spa treatments, several live musicians along with much more. Since most packages don't allow you to substitute items with in the destination wedding package, you shouldn't use a package that has a lot of things in it that you don't want. Pick a smaller package and add on the things you need. We have done weddings from as low as $5,000 up to $65,000. The price is based on the number of guests and how elaborate you want the events to be. 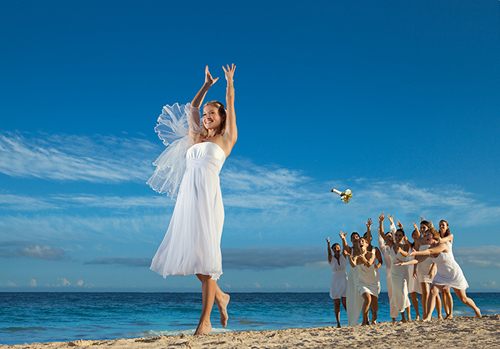 At whatever price point, Destination weddings are much more reasonably priced than local weddings. Not only that, but having your loved ones all together for a few days away from the normal concerns of life is a wonderful way to start the rest of your life.